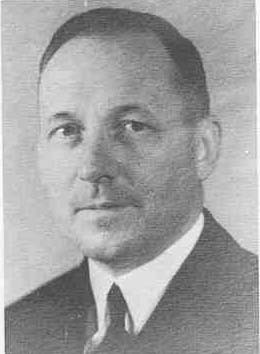 Captain Mervyn S. Bennion died in the Japanese attack on Pearl Harbor on December 7, 1941. He was hit in the abdomen by shrapnel from a bomb that hit the USS Tennessee, which was moored inboard of the USS West Virginia. Rank and organization: Captain, U.S. Navy. Born: 5 May 1887, Vernon, Utah. Appointed from: Utah. Citation: For conspicuous devotion to duty, extraordinary courage, and complete disregard of his own life, above and beyond the call of duty, during the attack on the Fleet in Pearl Harbor, by Japanese forces on 7 December 1941. As Commanding Officer of the U.S.S. West Virginia, after being mortally wounded, Capt. Bennion evidenced apparent concern only in fighting and saving his ship, and strongly protested against being carried from the bridge. Mervyn Sharp Bennion was born in Vernon, Utah, on May 5, 1887. After attending high school in Salt Lake City, he received an appointment to the U.S. Naval Academy at Annapolis in 1906, where he graduated near the top of his class. His first tour of duty was in the engineering section of the USS California. The young officer eventually specialized in ordnance and gunnery, and he commanded the 1-inch batteries aboard the battleship USS North Dakota during World War I. His first command was the destroyer USS Bernadou, followed by a tour as commander of Destroyer Division One. After a shore tour as a student and instructor at the Naval War College, Bennion assumed command of the West Virginia, on July 2, 1941. The "Wee Vee," as she was affectionately called, was moored with other vessels at Battleship Row along the southeast side of Ford Island in Pearl Harbor on a quiet Sunday morning, December 7, 1941. Japanese torpedo bombers struck the battleships just before 8:00 A.M., and the West Virginia was hit hard almost immediately. At least six torpedoes struck the giant vessel's port side, along with two bombs. Captain Bennion, struggling to organize defenses from the bridge, was hit in the stomach by bomb splinters from the nearby Tennessee. Still, he continued to direct his ship's battle, eventually ordering his men to leave him and save themselves. Crew members nevertheless carried him from the bridge to a safer spot where his wounds soon proved fatal. Bennion's heroism during the one-sided attack was recognized by awarding him posthumously the Congressional Medal of Honor, the nation's highest. In his presentation, President Franklin D. Roosevelt noted in part that "as commanding officer of the U.S.S. West Virginia, after being mortally wounded, he evidenced apparent concern only in fighting and saving his ship, and strongly protested against being carried from the bridge." Captain Bennion received another traditional navy tribute on July 4, 1943, when the destroyer USS Bennion was christened by his widow Louise. The Bennion went on to fight in a number of important actions during the successful American offensive in the Pacific. In 1951 the Salt Lake City Navy Mother's Club dedicated a plaque in honor of World War II veterans in Salt Lake's Memory Grove. Bennion was also honored in 1968 by the University of Utah's Naval Reserve Officer Training Corps, which dedicated the midshipmen wardroom in the Naval Science Building to him.